Silly. Fun. Sensitive. A true gift for all ages. 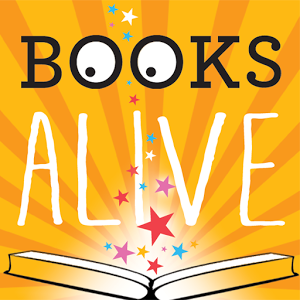 You’ll have to pick up the book to see all the wonderful wishes and the charming artwork. I wish you more happy endings than disappointments. What do you wish for your child? 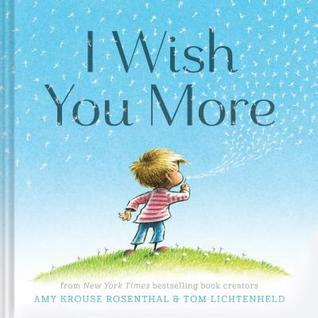 This book will help you share some universal wishes we have for our children and for each other. What a great springboard for making birthday wishes, get-well wishes, Mother’s Day and Father’s Day wishes, and plain old everyday I-Love-You wishes! This one takes a little time, but so worth it! Take a picture of your child ‘blowing a wish’. Cut it out and glue to black construction paper. Make a pom-pom dandelion using thin white yarn. Glue it to the paper just opposite your child’s mouth. Add float away seeds with the same white yarn. A small twig serves as a stem. 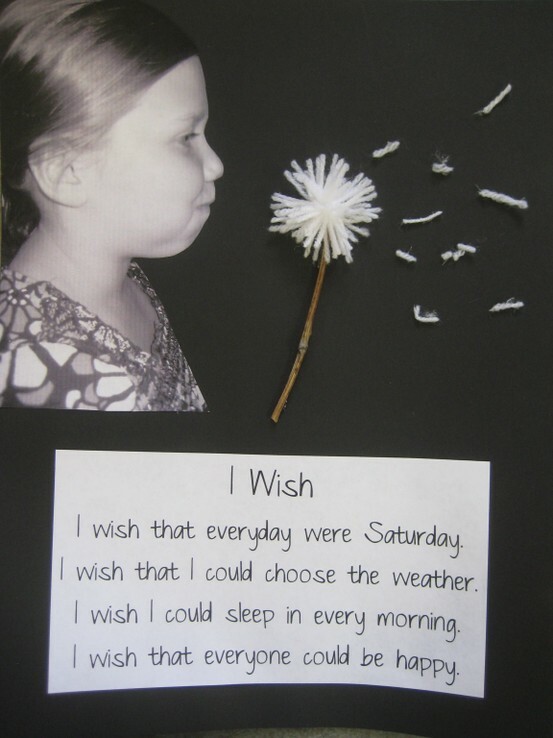 Then write out or type up your child’s wishes to add to the picture. This is so nice, I’d frame it and give it as a gift to a grandparent or special person in your child’s life.